← Today’s Menu: That Particular Habit!! Today’s Menu: WAR CLOTHES ON!! 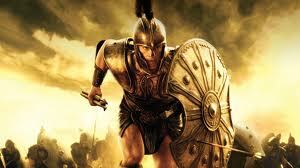 Imagine a warrior going to war leaving behind his breastplate, his helmet or even shoes? No one goes to war without being fully equipped. Christian soldier, don’t start the year without being fully kitted. Today’s passage reminds us to put on the whole armour of God to be able to withstand the enemy at all times. Put your war clothes on!!! This entry was posted in Devotionals and tagged armour, breastplate, ephesians, righteousness, truth. Bookmark the permalink.